AOL announced the launch of PlaySavvy.com, a site that targets parents of children ages 5-17 and helps them decipher the world of games, both PC and console. PlaySavvy also helps parents stay aware of their kidsâ€™ entertainment choices including assisting them in making informed decisions about buying games for their children. The PlaySavvy.com launch is a continuation of AOLâ€™s overall programming goal to offer consumers interactive and engaging experiences with relevant sites that target peopleâ€™s passion points. This year, AOL launched several targeted sites including ParentDish.com, Lemondrop.com, WalletPop.com, and Holidash.com. AOL sites hit all-time high traffic numbers and marked the 21st month of consecutive year-over-year growth for unique visitors, according to the October 2008 comScore Media Metrix report. Unique visitors to AOLâ€™s programming content sites grew 7% year-over-year to 54.3 million in October, and page views more than doubled, up 101% year-over-year to 4.2 billion. Engagement (total minutes) grew 51% year-over-year in October. Total minutes reached an all-time high on AOL.com, growing 27% year-over-year. 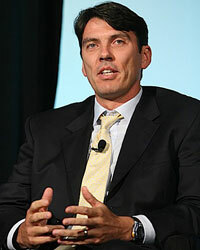 Additionally, AOL.com page views grew 27%, and unique visitors and total visitors were up 9%, year-over-year, as the site further opened up to third-party content, services and features. In addition, AOL Webmail, reached an all-time high of 3.5 billion page views marking a 31% year-over-year growth. AOL showed growth in sites that reach men 18-34 such as Asylum, Engadget, FanHouse, and GameDaily, as well as sites that target women 18-54 such as the AOL Living, sites which include Lemondrop, StyleList, ParentDish, Home, and Food. Now, we will just have to see how this would be translated to earnings.